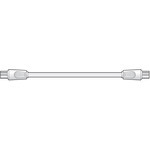 Standard stereo mini jack lead, ideal for use on PC, personal audio device, in-car and any modern audio devices. 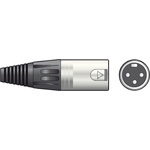 Standard 3.5mm stereo plug to two RCA plugs lead. 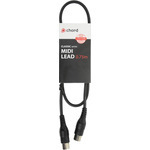 Ideal for connecting personal music players to line inputs. 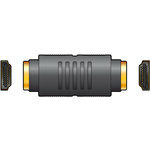 Standard two RCA plugs to 3.5mm stereo socket adaptor lead. 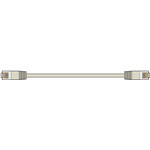 Coloured network patch leads capable of transmitting 100/1000Base-T ethernet. 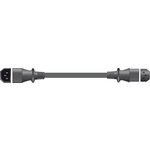 An IEC plug to IEC socket mains extension lead, ideal for powering a desktop monitor from a tower computer or for extending existing IEC mains leads. 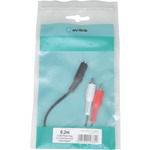 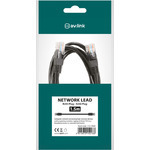 A durable, high quality MIDI lead for connecting music controllers and devices, with pro quality 180� 5-pin DIN plugs. 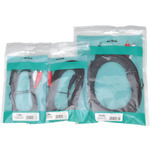 Made with strong, flexible cable; low loss conductors and global shielding for a clean data stream.